eMerchant Pro offers make your payment processes easy with Credit Card Processing facility for our clients. We are one of the known credit card service provider and offers you service at an affordable rate if you are looking for a merchant account. Today the customers want an easy solution for the shopping done and credit cards offer a reliable solution to your businesses. It offers you an opportunity to increase your business transactions and makes easy for the customers to login onto your web. eMerchant Pro offer awesome solutions through credit card solutions for retail payment, mobile payments, e-commerce solutions etc. eMerchant Pro works for all the businesses, whether you own a large business or a small one, we assist the merchants without hassles. eMerchant Pro is a dedicated credit card processor for the last several years. It reduces the chargebacks as well as a scam that occur while the transaction is done. Get secure deals through our credit card payment without a hassle! With Credit Card processing facility, it is easy for you to accept payments at any time without a hamper. The customers feel at ease while buying a product through an online process. The customers can connect with you at any moment and anywhere with the aid of credit cards. eMerchant Pro aids you to accept credit cards transaction that the customers employ while purchasing a product. If you have an online business then credit cards are the best option for merchants for steady business. You can avail easy payment solutions with the help of credit cards while contacting us for a merchant account. Avail stress-free payments through our credit cards for your businesses! With Credit Card Processing facility, you can obtain numerous currencies that are widely accepted and thus aids in international business. This aids you to avail benefits as you can obtain in local currency from customers of other nations. This expands your business from one part of a nation to another without hassles with a credit cards facility. You can obtain credit cards such as Australian Dollar, UK Pound etc. for making your business gain international profits. Gain benefits through multiple international currencies in your business and connect with international customers via online! eMerchant Pro accepts credit cards to the merchants which are widely used internationally. With Credit Cards Processing, the acceptance of Visa, MasterCard etc. is quite prominent for better payment processes. You can benefit a lot as the payment is secure and transferred without any type of delay. Thus, availing a merchant account with credit card offers a trustworthy solution for effective business. Enhance your business with credit card solutions for a speedy payment! If you are looking for a credit card service for your high-risk business then eMerchant Pro offers you high-risk merchant account solutions. With a high-risk merchant account, it is easier for the customers to pay online with a credit card for your high-risk business. With high-risk businesses such as 2D or 3D, it becomes quite simpler for the customers to access your web. 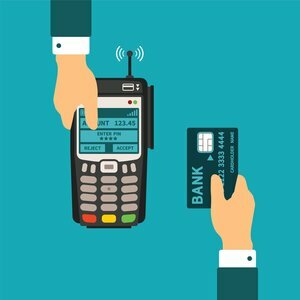 Making your high-risk business boom with a high-risk corporate account with credit card services!